The BMW E90 is the new BMW 3 series and was upgraded from BMW E46, this bmw e90 navigation is specific for new BMW 3 series BMW E90 Saloon(2005 onwards), BMW E91 Touring, BMW E92 Coupe, BMW E93 Cabriolet. 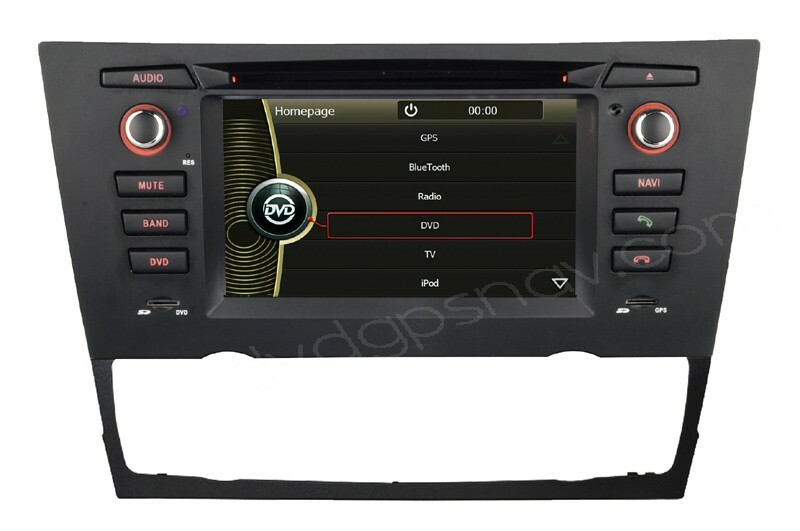 The bmw e90 radio gps can fit BMW 316i, BMW 318i, BMW 320i, BMW 320si, BMW 323i, BMW 325i, BMW 328i, BMW 330i, BMW 335i, BMW 316d, BMW 318d, etc. Interested in an Android version? 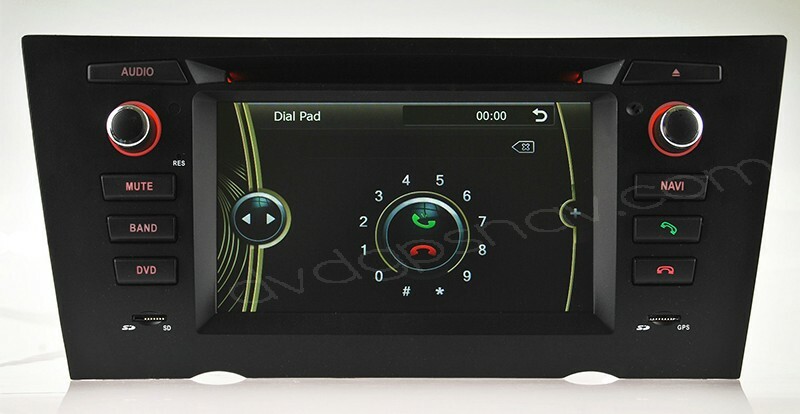 check Android BMW E90 E92 navigation. FREE Gifts: IGO maps with 8GB SD CARD. Limited Time Offer! ONLY US$396 now. Besides, Buy now Get a 8GB SD card with IGO Maps for FREE! 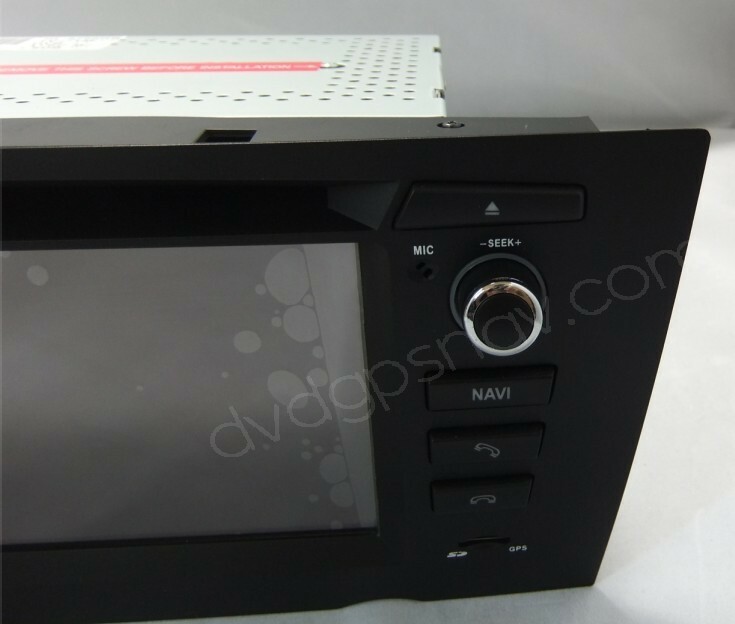 The BMW E90 is the new BMW 3 series and was upgraded from BMW E46, this BMW E90 navigation head unit replacement is specific for new BMW 3 series BMW E90 Saloon(2005 onwards), BMW E91 Touring, BMW E92 Coupe, BMW E93 Cabriolet. 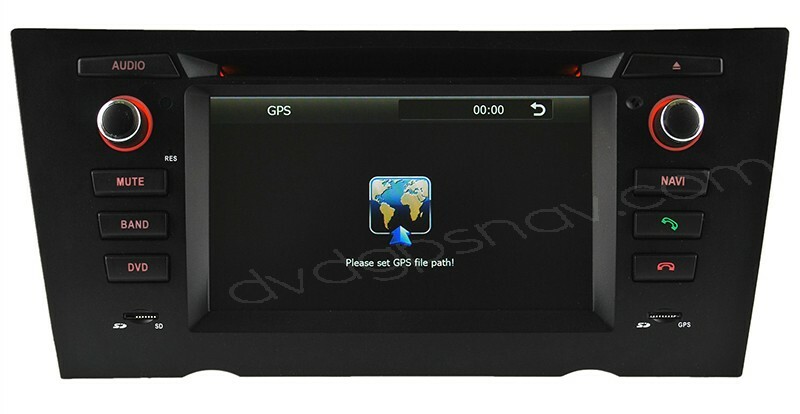 The bmw e90 gps can fit BMW 316i, BMW 318i, BMW 320i, BMW 320si, BMW 323i, BMW 325i, BMW 328i, BMW 330i, BMW 335i, BMW 316d, BMW 318d, etc. If your car is BMW E46, you can check the bmw e46 navigation. Latest Version! 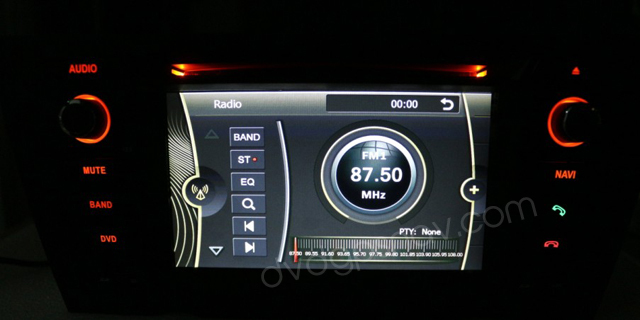 This bmw e90 radio has been upgraded with new GUI which is similar to original BMW navigation. Aftermarket car audio and video system for BMW E90 with navigation upgrade, directly fit E90's dashboard, there's a relocation kit included to relocate the air conditioning system, BMW E90 DVD player GPS comes with multiple features like Bluetooth, GPS navi system, USB, quality guaranteed & one year warranty. Digital TV optional: DVB-T(MPEG4) for Europe and Australia, etc. ISDB-T for South America. 1. There are two different mounting frame available, one is for bmw e90 with automatical A/C unit, the other is for bmw e90 with manual A/C unit. Please tell us if your car has automatic or manual A/C or send a dashboard picture for us to check so that we can know which mounting frame is right for your car. 2. For BMW E90 with a "circled A" OFF button below the factory CD player and climate control, this bmw e90 gps can not support this button, as there's not enough room to relocate these buttons including seat heating buttons below the a/c control, so the "circled A" OFF button and 2 seat heating buttons will not work anymore unless you find somewhere to relocate them, but you can control seat heating in settings of our e90 navigation unit through touch screen. 3. For BMW E90 with fiber optical amplifier(you can confirm this with your local BMW dealer), the installation is very complicated, you need to splice our speaker wires. You can extend our power cable to connect speakers under the trunk directly and by-pass the amplifier, our bmw e90 navigation unit has 4x45w amplfier built-in, if your installer is professional, he can also install our unit with another amplfier, but the fiber optical amplifier is not compatible. You can also check this post to check if your e90 has fiber optic amplifier: How to check if my BMW E90 has fiber optic amplifier? If you have doubts if this unit can fit your car, please send us your exact car model and manufacture year, if possible please also send a dashboard picture to us so that our technicians can check for you. Hy my car haz heat chairs and navigation include from bmw if i instal this will my navigation sistem and all the function work or will be conflict between this 2? I can send a picture of my dash if need it. Hi i have a bmw 328i year 2011 with the automatic A/C controls. Do this unit will fut my car? Q: When I look at the photo of the head unit in with the climate controls they seem to be sticking out at the bottom . Does the climate control fit flush like the head unit does at the bottom ? A: The climate control panel will be relocated at the bottom with a relocation kit included, yes, a little stick out. A: There's a wiring diagram at the bottom of the unit so you can find the 8 speaker wires from our unit. We have another customer who add an amplifier to install our unit, you can check his solution as below: I finally have this unit installed and working. I had to purchase a 5 channel amplifier (4 channels and a subwolfer channel) and combine some of the 10 speakers, and run wiring to the amp from back of the radio, but it is done and finished. 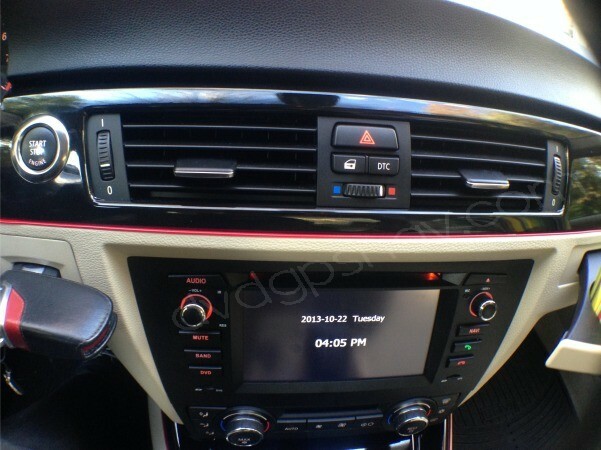 Q: Hi i have a 2011 bmw 328i with the automatic A/C controls. Do this unit will fut my car? 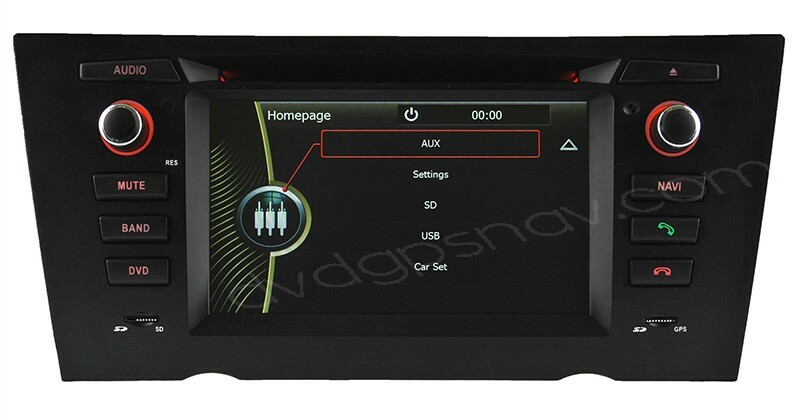 A: Hi, in order to check if this unit fit your car, please also send a dashboard picture to sales@dvdgpsnav.com for further checking, thanks. 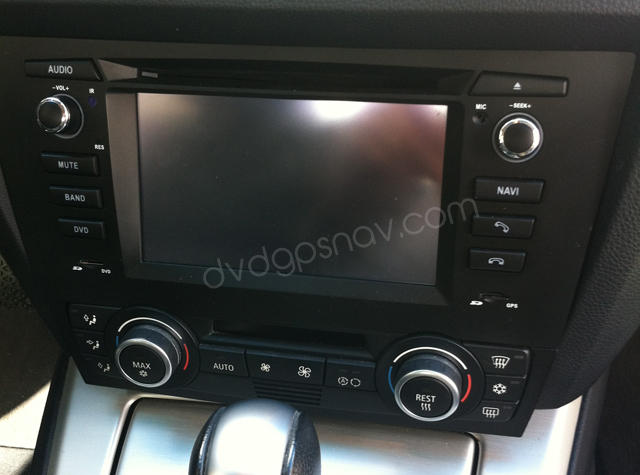 Q: Do any of your navigation systems fit 2008 BMW 328xi. I have a picture of the dash if needed. There is a control panel for the heated seats below the radio control knob panel. A: Our BMW E90 navigation system fit your 2008 BMW 328xi, our headunit controls the seat heating and car info, so you can access heat seating through touch screen. 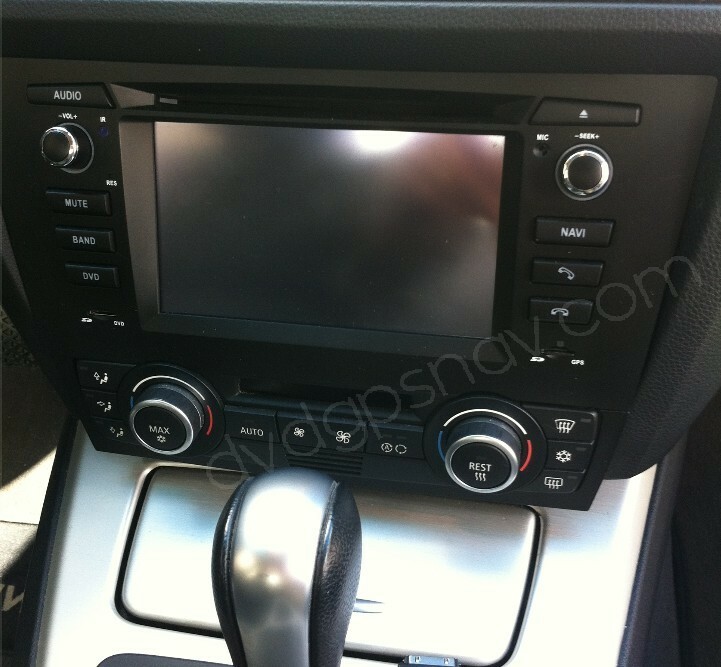 Q: I have 2011 BMW 323i with "NO" Bluetooth or navigation system, will this unit fit my car ? 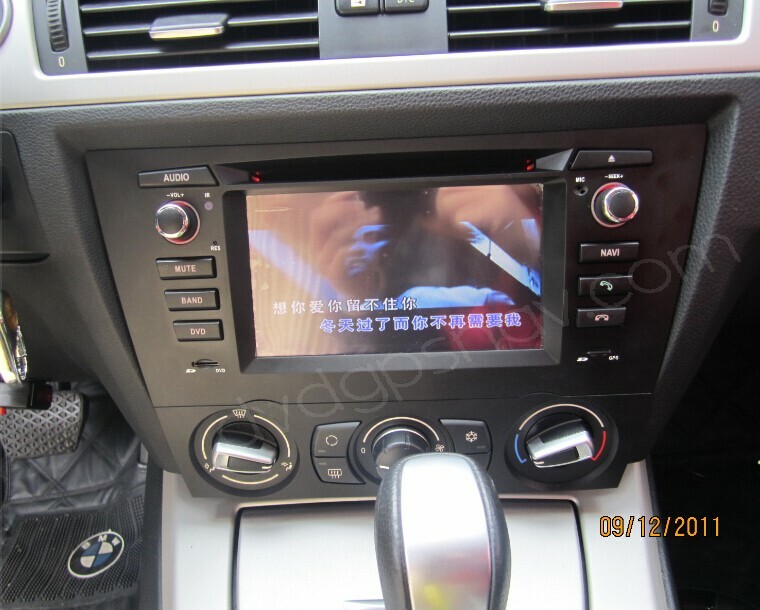 A: Yes, this BMW e90 head unit can fit your car of 2011 BMW 323i. 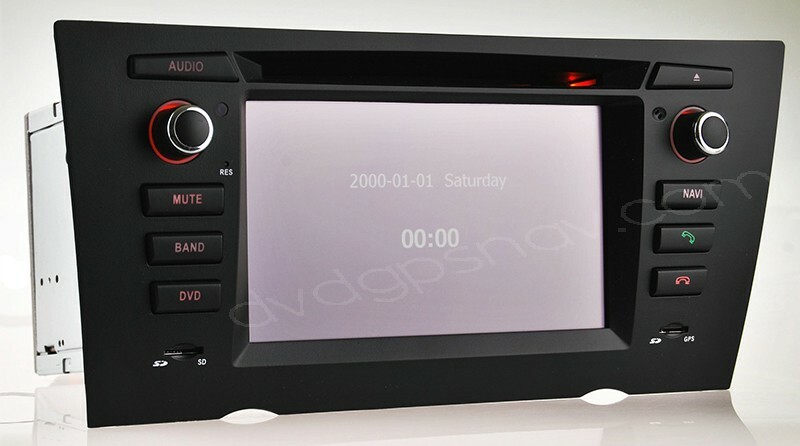 Q: I would like to replace my standard radio/ tape head unit with a DVD Navigation head unit. What units can you advise and what are the prices? Cost to ship to South Africa? A: Hi, can you please also send us your car information including exact car model and manufacture year? If possible, please also send a dashboard picture from your factory radio, so that our technicians can check for you, thanks.